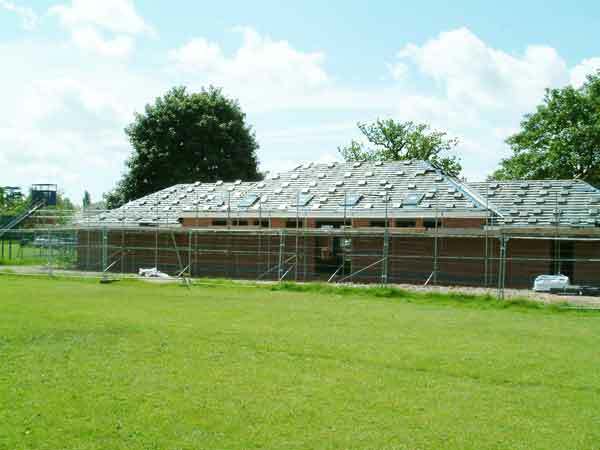 A brief history of Cuddington & Sandiway Parish Playing Fields and its new Village Hall. The following is an attempt to briefly tell the story of how White Lodge Field was transformed from a few acres of agricultural land to the splendid community facility that it is today. During the first half of the twentieth century White Lodge and its adjacent field was initially in the ownership of Thomas Moore of ‘Moore & Brock’ and subsequently of R.J.Yeoward ‘The Banana King’ of Yeoward Bros., the Liverpool shipping company. Almost a hundred years ago the field was, for a short time, home to large numbers of horses, acquired by the nearby livery stable, for eventual sale to the army and the horrors of World War I. Over this period Cuddington and Sandiway were more easily recognised as separate villages and events in village life were often organised independently. No doubt there were garden parties at some of the more substantial properties and activities like children’s sports and fetes were held at a number of locations. The Silver Jubilee of George V was celebrated on the old Cuddington Football Field, now the White Barn car park plus housing. However, White Lodge Field was used prior to coming into the ownership of the Parish Council notably to celebrate George VI’s Coronation in 1937. By the end of the 1940s, Cuddington Parish Council was developing an interest in acquiring land to provide a village playing field. During the 1950s, the golden opportunity arose when the Council was offered the 7.8 acre White Lodge Field for a sum in the region of £1,800. At this time, village resident, R.H. ( Robert ) Parker, was a member of Northwich Rural District Council and he managed to ensure that the land was designated for recreational use thus thwarting any prospective developers. Even then, not everyone was happy. When a compulsory purchase order was mooted, the Vicar of Sandiway, Rev.J.B.Horrocks, wrote to the local papers proclaiming this as ‘the thin end of the wedge of Communism’. Although not against the principle of a village playing field, he certainly didn’t want ‘good farming land (White Lodge Field) used for football, cricket and the like. The vicar’s letter provoked strong reaction and another letter signed by representatives of the Football, Bowling and Tennis Clubs and Methodist Churches took the contrary view. Robert Parker became a prime mover in the establishment of Norley Road Playing Field and was the first chairman of the Cuddington & Sandiway Playing Fields Association. The difference of opinion with the Rev.Horrocks was just one of many difficulties that the visionaries would need to overcome as, over the next fifty years, they sought to develop leisure facilities for an expanding population. What could well have been the very first Management Committee Meeting, though this is not specifically stated on the attendance sheet, was held on 5th December 1960. Those present included; Joan Handley, Geoff Turner, A. Mitchell, Cathy Pearce, Colin Whiting, Harry Corless, Annie Young, Robert Parker and Bob Cowley. Of note is that of the 29 meetings of the committee held over 1960/62, Joan Handley had attended 28 and Geoff Turner 26. The Tennis Section was quickly on board with the newly formed PPFA.. 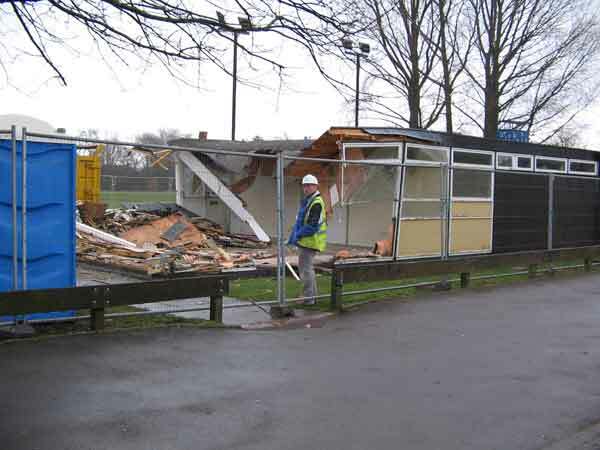 The former Tennis Club had been homeless since the lease expired on its Mill Lane base in 1954. A plan for two courts was developed with land earmarked for a further four. Soon to follow were the Scouts with permission being granted for the erection of a Scout Hall. In fact early PPFA meetings were held in the newly erected hall. One third of the cost would be expected to be obtained by a grant from the Ministry of Education. The Parish Council would be asked to provide the remaining third by means of a loan from the Public Works Board. There followed a period of some acrimony as the Parish Council, for reasons it is difficult to understand today, failed to back this well researched and designed scheme. However, as things calmed down, all sides could see the need for public toilets and changing facilities and in 1963 a watered down scheme for a Community Hall emerged. The cost was to be £9000 and this time the Parish Council was in support subject of course to the approval of a public Parish Meeting. The majority refused to agree any rate increase to fund the project and this effectively killed off any chance of a Community Hall. There followed a period where those caught short had to seek out a handy tree and footballers and tennis players had to change in the ‘Implement Shed,’ a rough wooden structure sited somewhere near the Tennis ‘Club House.’ There were also resignations from key players who had become frustrated by what they perceived as the negative stance of a Parish Council that only remained in office thanks to the apathy of the electorate. On 12th December 1965, the PPFA wrote to the Parish Council giving cost details ( approximately £4,000 ) of a proposed pavilion and the expected funding. A grant of £420 was confirmed by the PC. Sadly, a short while later, on February 1st 1966, Robert Parker resigned from the chairmanship of the PPFA due to severe health problems. He died in 1969, still only 59 years old. His vision and leadership paved the way for the facilities we enjoy today. A clock with a plaque was installed in the Pavilion in his memory. Cathy Pearce took over as Chairman of the Management Committee. 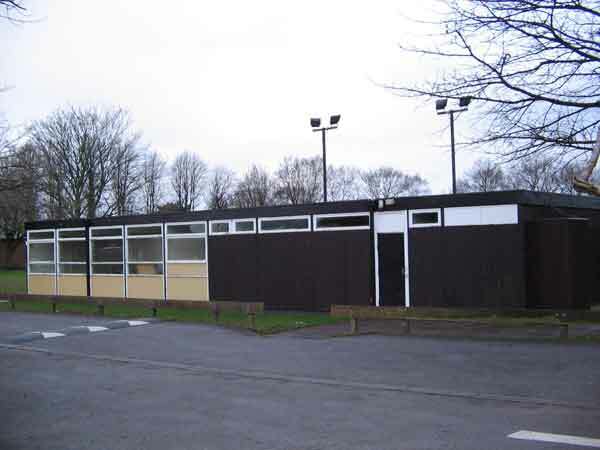 The Pavilion was completed in June 1968 at a cost of £6,200 and the public toilets opened for use. Phew!!! In the late sixties the play area consisted of little more than a set of old swings. 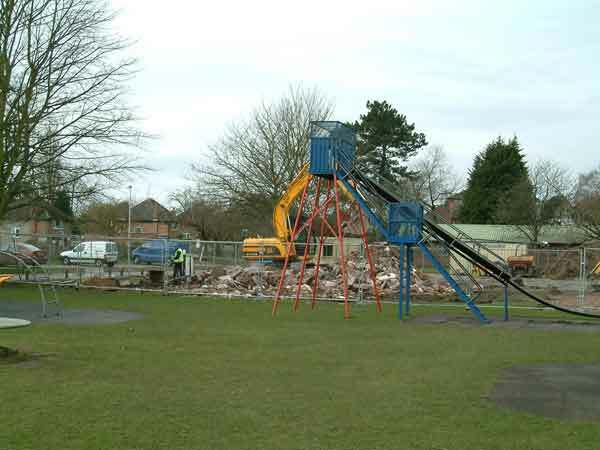 A sub committee comprising Pete Smith, Cecil Hall, Lyla Dobson and Bryan Dearden was charged with developing a scheme for the supply and erection of new play equipment and the provision of a sand pit. In February 1970, the new play equipment, toddlers’ swings, rocking horse, roundabout, a set of plane swings and a climbing ladder was installed. A few months later, with coffers replenished, an order was placed for the high slide (£355) which to this day remains the star attraction on the playground. Over the years new items have been added and others outlived their usefulness. Safety surfaces became a requirement along with regular inspections. All in all, the playground has developed to become one of the best in the area and a magnet for families from way beyond the borders of Cuddington & Sandiway. On April 22nd 2009 the members gathered for the ‘40th Anniversary Celebration’ and opening of the new facilities by Dr. Peter Chivers who, with his wife Jean, first started the club some forty years before. Over this period the village ‘Gala Day’ and ‘Bonfire Night’ celebrations had become major events in the life of the community and raised funds which gave the PPFA a degree of independence as they managed the Parish Council owned field. Jack Eastaway took over the chairmanship of the Management Committee in 1971 as Peter Chivers stood down. Management structures had been developing before this point but in essence a small Executive Committee kept the pot boiling whilst reporting bi-monthly to a Management Committee which offered advice and made policy decisions. The MC, as now, is made up of representatives from bona fide village organisations including the Parish Council plus a number of elected / co-opted members. A Field & Pavilion Manager was also appointed and over much of this period Cecil Hall gave wonderful service in this role. This era saw the number of tennis courts rise to four, the completion of the 69ers building and extra play equipment including the gift of the ‘Igloo Climbing Frame’ by Mrs. Joan Cowley in memory of her husband Bob. fill in the hole at the far side of the field, including grading, top-soiling and re-seeding. With the possible exception of the adventure playground Crosby’s provided all that had been agreed. Some playground equipment may have been provided but the natural log equipment which was enjoyed by youngsters for some years was installed a little later. Jack Eastaway, born an Australian but the quintessential Englishman, was Chairman of the PPFA for fifteen years and remained President until his death in 2004. Commemorative plaques to Jack Eastaway and Cecil Hall can be found on benches adjacent to the children’s playground. In the early 1980s, Alastair Fairley, who had taken on the chairmanship from Jack Eastaway, was forced to stand down due to severe ill health. Uel Jamison stepped in to fill the breach and remains chairman to this day. 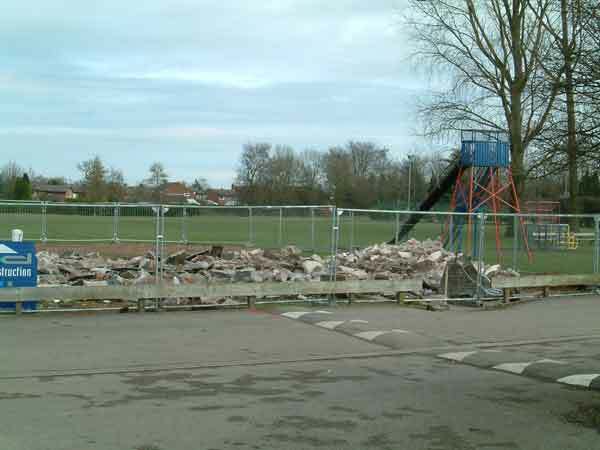 These years saw further investment in the children’s playground and closer links with the Parish Council partially arising from a greater dependence on PC funding. By the late nineties another attempt to provide a new village hall was afoot and the newly formed ‘Community Group’ was gauging public opinion, looking at sources of funding and investigating possible sites. The playing field being one of these options fuelled concerns as to how much green space would potentially be lost to an inevitably large building and associated car parking space. 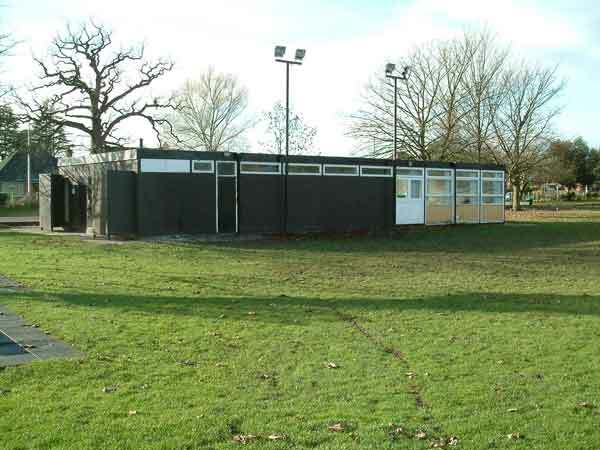 The PPFA was left to consider its level of involvement with the push for a Community Hall ( some members had feet in both camps) and also to consider the level of investment that could be sensibly made in a deteriorating Pavilion. 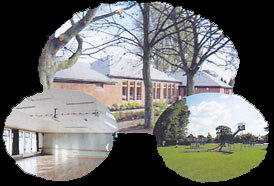 After the spirit of optimism engendered by the Millennium celebrations died down, the Cuddington & Sandiway Community Group which at subsequent times became S & C Community Association (SACCA), the Village Hall Committee and a sub group of the PPFA was subjected to a number of highs and lows as hopes were raised and then dashed.. 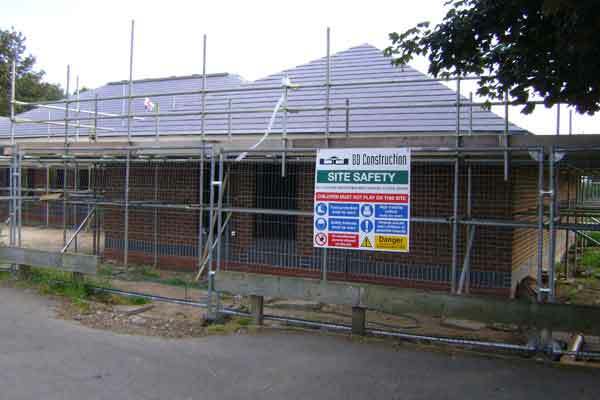 The gradual merging with the PPFA occurred as it became clear that Norley Road was going to be the site of the new Community Hall, if this could be achieved. The PPFA’s charitable status would also come in handy when making grant applications. Fund raising continued. What began as the ‘150 Club’ in February 2000 paid out its first prize, £30, to member number 27 of Blake Lane. All manner of items and clothing were printed with the Round Tower logo and sold. Coffee mornings, Bridge Drives, theatrical productions and a Poker Tournament were just a few of the events which both raised funds and kept the project in the public eye. 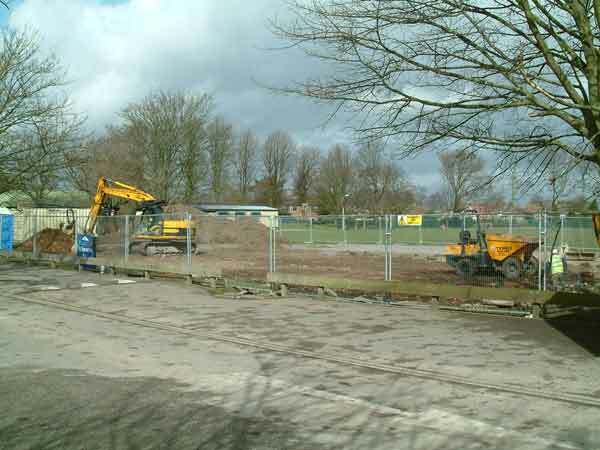 In January 2001 the Parish Council gave unanimous approval to £75,000 accruing to the village following the B&L Tip reclamation project, being used on the Village Hall project. 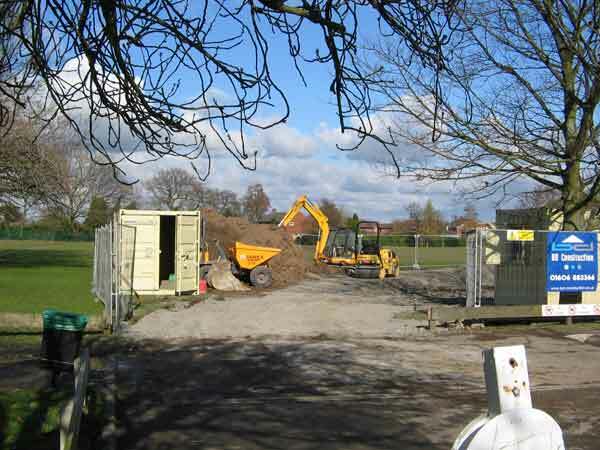 This money had to be used within a given time and despite some delaying tactics it was eventually siphoned off into the extra playing field development off Weaverham Road. This was a good alternative use of the funds for by now Cuddington & Sandiway Junior Football Club was thriving and grass at Norley Road wearing a bit thin. 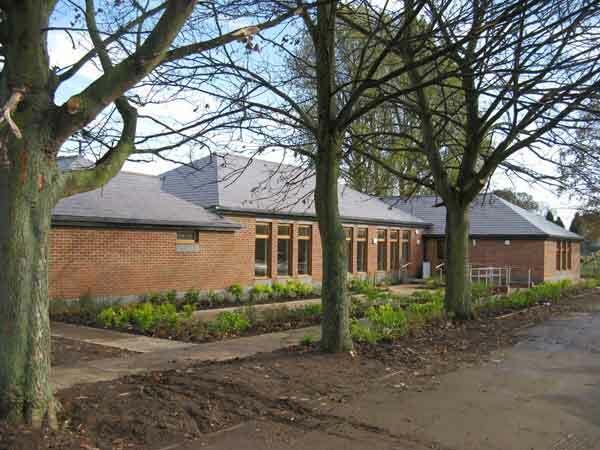 At the Parish Assembly in May 2001, Geoff Turner opened the ‘Village Hall’ presentation with a ‘History Lesson.’ He had been a leading member in a previous, well supported, attempt to provide the village with a community centre over 40 years ago. He described how the enthusiasm and expertise offered by a group of villagers at that time had been thwarted by a Parish Council who opposed the idea on the grounds that existing halls fulfilled the needs of the village. He said that the present ‘Pavilion’, was built as a cheap compromise and was well past its sell by date. 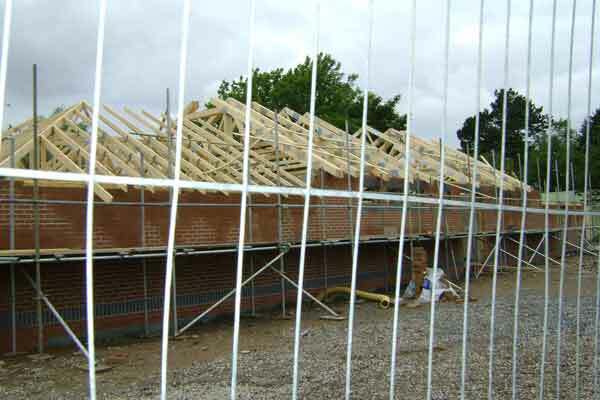 This time the Parish Council was looking favourably on the project but he warned that should the opportunity be missed this time, it might not come again. 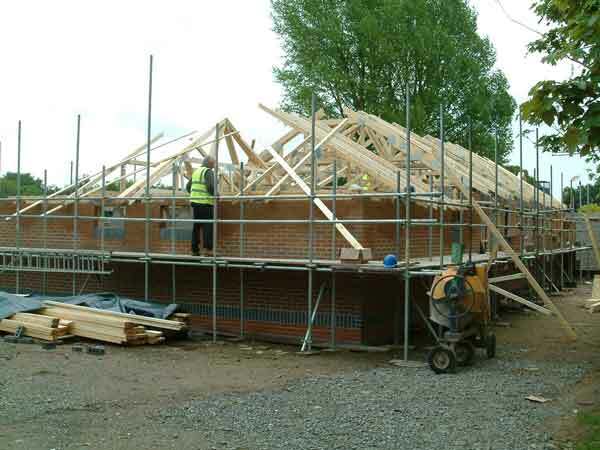 In April 2003 a special eight page edition of the Round Tower village newsletter carried ambitious plans for a new hall and was delivered to every house in Cuddington, Sandiway and Delamere Park. 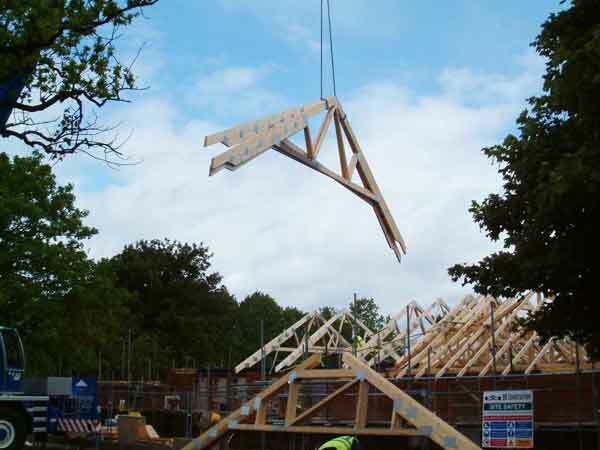 The cost of the scheme was said to be around £400,000 but by the time the May edition appeared costs were estimated at £650,000 - £700,000 and a completion date of Autumn 2005 indicated. 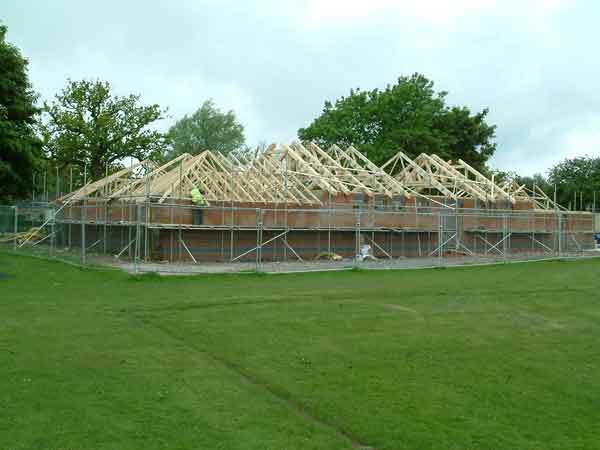 In 2004 the PPFA became ‘Cuddington & Sandiway Parish Playing Fields Association Ltd.’ This was a change of status from that of a charitable trust to a ‘Company Limited by Guarantee’. 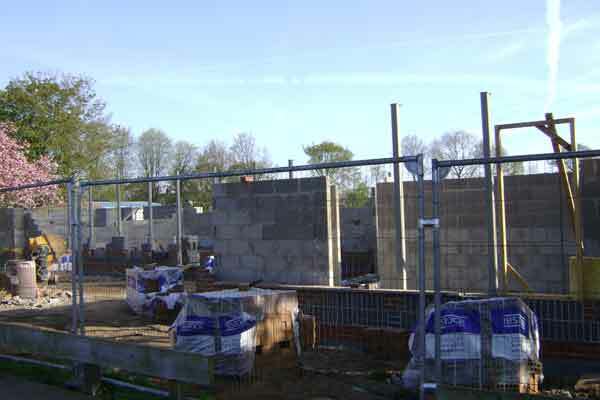 The reason for the change was to ensure that the organisation and its trustees had proper protection against financial exposure particularly if the plan for a new village hall was to come to fruition. 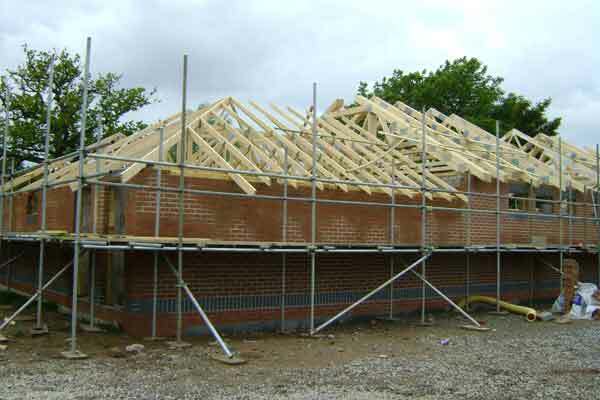 When late 2005 did arrive the Village Hall Committee and the Parish Council wrote to all villagers seeking support for a plan to raise £80,000 via the ‘parish precept’. This would be used to attract match funding. A disappointing return of less than 25% revealed 232 in favour of an average annual rate increase of £15 over two years with 336 against. What would the Parish Council do? Another initiative was about to bite the dust. 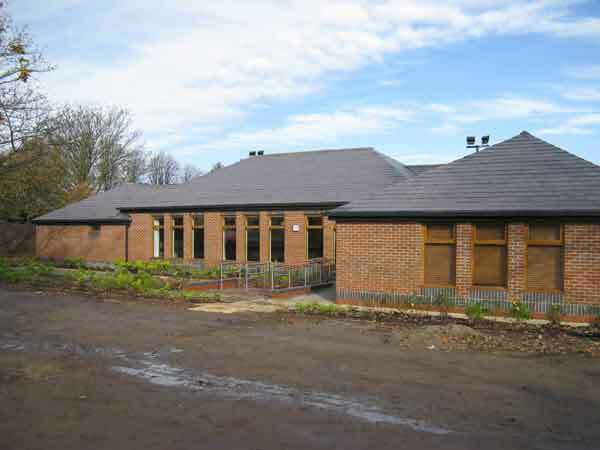 In early 2007 news came that the Village Hall Committee were hopeful of a significant grant from Vale Royal Council’s Rural Delivery Fund - £250,000. This duly materialised and the race was on to find the rest of the cash. At the Parish Assembly a year later, Denis Kidd, despite having to report two unsuccessful lottery funding bids, was able to outline a viable proposal along with sources of funding. 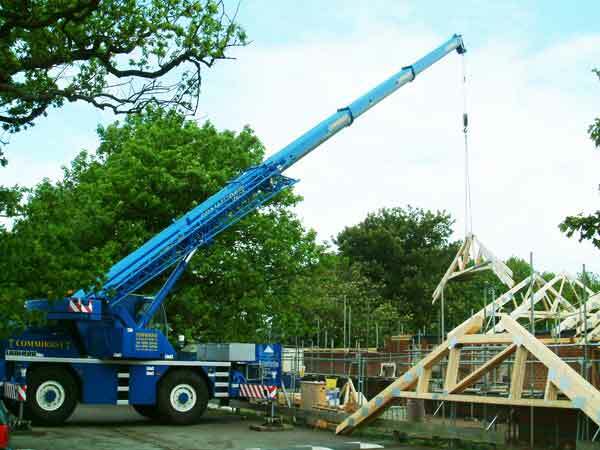 It seemed that the key to really getting the project moving would be to persuade the Parish Council to borrow £100,000 from the Public Works Loan Board with repayments spread over twenty years. Those present expressed overwhelming support for this. 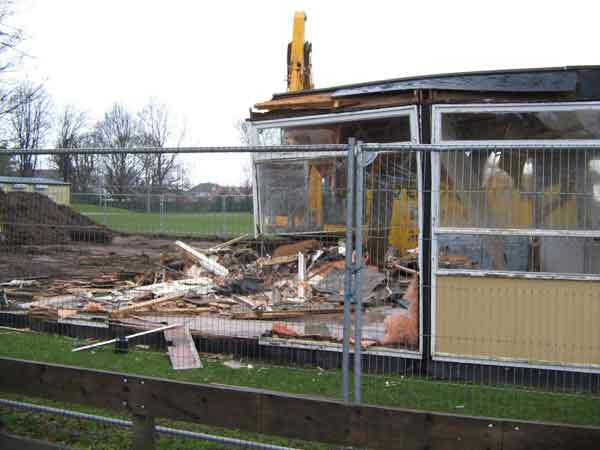 The football club had undertaken to fit out the changing rooms to the value of £40,000. There was still money to be raised for internal furnishing and fitting but at last it was all systems go. 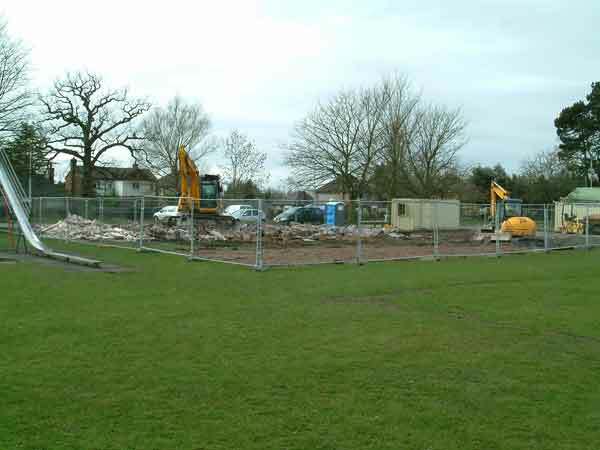 On February 28th 2009 a simple ceremony was held to cut the turf prior to the commencement of building work. Doing the honours with the spades were Pat Chrimes, chairman of the Parish Council and Denis Kidd, Chairman of the Village Hall Committee, assisted by Geoff Turner who was on the committee that built the, shortly to be demolished, pavilion. The gathering comprised councillors and representatives of local organisations, BD Construction and the architects, Barrie Newcombe Associates. 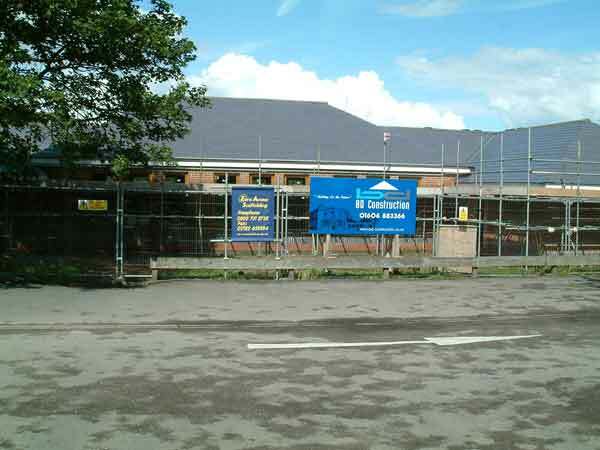 Following an ‘Opening Barn Dance’ in the Autumn of 2009 the splendid new hall is in regular use. It’s hard to find anyone with a negative comment as all are impressed with its pleasing exterior profile and the quality of the interior finish. It’s been worth the wait. The building will be officially opened on the afternoon of Saturday March 20th 2010 by Mr.G.P. (Geoff) Turner. Since the opening ceremony in October 2009 the village hall has become very popular. We have bookings for the hall & meeting room daily. So popular that bookings have to be juggled to fit them all in. We have Language classes, circuit training, Yoga, TaeKwon-Do, Bridge, Brownies, Table-tennis, JuJitsu, Afternoon Teas, Film Night, Rural Arts Theatre shows, Lace making & parties. We are in the process of landscaping the rear of the hall and updating the very popular play area equipment. Constant maintenance is keeping the hall etc in good order which feedback from customers shows they are delighted with. We have been awarded a Guardian Angel award for service to the community. A voluntary committee of approximately 12 people being responsible for managing all this. We are desperately looking for extra help to lighten the load, so if you can give a little of your time please contact us. Author’s Note. Thanks are due to the many villagers who have been associated with the development of Cuddington & Sandiway Playing Field and its facilities, most of whom are not mentioned in the preceding pages. Notes on the ‘Early History of Cuddington & Sandiway Parish Playing Fields’ P.G. (Pete) Smith. Roger King - March 2010.